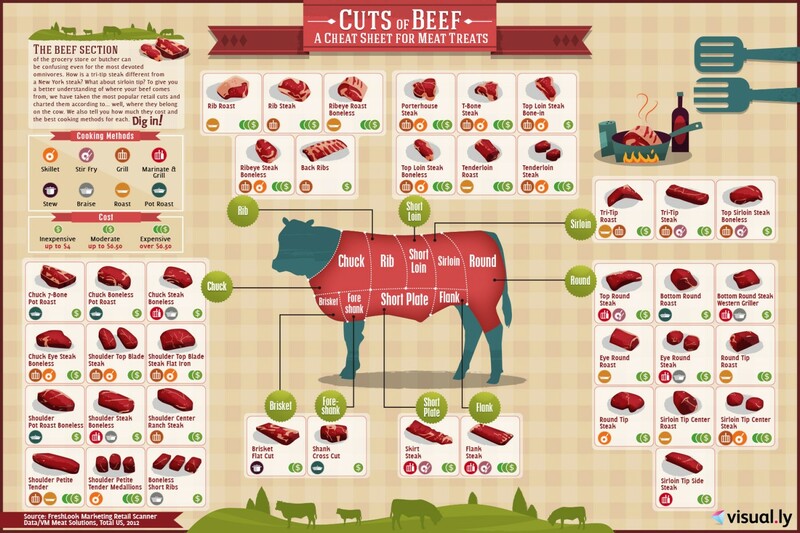 Cuts of Beef Cheat Sheet : Feast Your Eyes Infographic | CookDrinkFeast! So you’ve decided beef is what’s for dinner. You go to your local mega-mart, trot over to the meat —and your eyes glaze over. Sooo many cuts. Where do you start?